Buerlen, an award winning business development professional and consultant, brings a unique set of sales and management expertise to the Proforma team. September 16, 2016 (Purcellville, VA) Proforma Screening Solutions welcomes Joe Buerlen to the team as a national account executive. Buerlen previously worked as a regional sales manager for a local Ohio medical device distribution company. He also brings 10 total years of pre-employment screening experience to the table. First as a national account manager for a firm in Cleveland Ohio where he earned the Sales Leadership Award in 2011. Second as director of sales for another Ohio based pre-employment screening company. When it comes to employment screening services, Proforma Screening Solutions does more than just generate a simple background report. The team at Proforma implements accurate, efficient, and cost-effective background screening services, all while maintaining compliance with hiring laws and regulations. 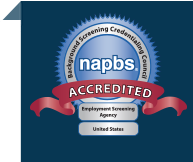 Headquartered just outside the nation’s capital in Purcellville, Virginia, Proforma Screening Solutions is a pioneering firm in the development of cost-effective employment screening technology and services to help employers make better hiring decisions. Proforma provides useful information from public and private data sources at an affordable price. As a unit of the Lowers Risk Group, Proforma Screening Solutions has access to a full range of risk mitigation practices to offer clients a single point for total enterprise risk management. For more information and to get started, visit www.proformascreening.com or call (866) 276-6161.